I have always said that without church music there would be no secular music (baroque, classical, etc. 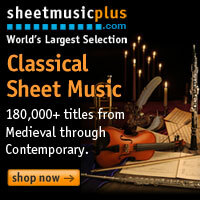 ), and without classical music, there would be no rock or pop music. There are so many great rock and pop artists who write great melodies. Some pop artists are excellent composers in their own right. Paul McCartney wrote a giant symphony . Mark Knopfler (Dire Straits) wrote the score to the beloved Princess Bride . There are countless great songs that don’t need to borrow from classical repertoire. Then, there are these. Enjoy! Let me start by saying that Billy Joel is one of my favorite pop/rock stars. I spent my pre-teens through high school in New Jersey listening to any of his music I could find. On vinyl or cassette since there were no CDs until I was 16 or so. Sigh. This August (2017), my wife and I are traveling to Chicago to see him perform at Wrigley Field. 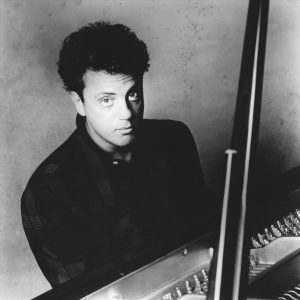 Billy Joel wrote great lyrics and paired them with equally beautiful and fun music. Among my favorites are She’s Only a Woman, Angry Young Man, My Life, And So it Goes, and Innocent Man, among many others. OK, I’ll admit it. I like some Barry Manilow music . Some. No child (or adult) who spent any time in the late ’70s listening to the radio is immune to knowing his music. Some of it is actually pretty good. C’mon, Copa Cabana? Hell yes! Most people don’t know this, but Barry was quite a good piano player. I’ve heard some demos and I’ve heard one where he improvises Copa Cabana on piano while testing the lyrics. Pretty cool. Then there’s this song – Could it Be Magic. It’s not a bad song. It has some beautiful lyrics (after the instrumental intro), and some great chord progressions. Trouble is, those chords are Chopin’s Prelude #20 from opus 28. I don’t blame Barry for using the Chopin work. It’s very beautiful. And then there’s Paul Simon. Put simply, Rhymin’ Simon is (with respect to Bob Dylan) the finest American songwriter who has ever lived. I love all of his music, from his Simon and Garfunkel days, through his latest solo album which was released just last year. His lyrics are poetry, and his music is everything from jazzy folk-rock (Me and Julio Down by the School Yard) to pounding world music (The Obvious Child ). There is no music or songwriting award that he hasn’t won. Long after he’s gone (not for a while hopefully), he will be remembered as one of the greatest of all time. That brings us to his acoustic anthem American Tune. It’s a wonderful song that shows his disappointment with what America has become. Poignant stuff indeed. After writing the words, he turned to Bach for the melody and chords. Specifically, he turned to the St. Matthew’s Passion. Many rock and pop artists are giant classical music listeners. Mr. Simon is no exception. 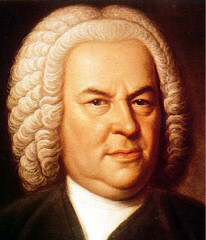 For our last example of rock music pilfered from classical music we have arguably one of the finest composers of pure melody who ever lived. 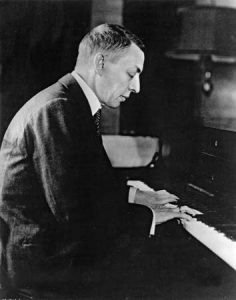 Rachmaninoff. His music is all beauty. The issue arises, however, that because of his music’s inherent beauty, it is used by anyone and everyone in their own songs. The Second Symphony is a great example. When I performed it for the first time (in college) I laughed out loud when we played the third movement. I had heard it countless times before, just not by an orchestra. The 2nd Piano Concerto is a perfect example. A melody so mystical and gorgeous. Then along came Eric Carmen and his ’70s hit All By Myself. Here is the Celine Dion version, equally plagiarized from ‘ol Sergei. I poke fun, but she’s got some serious pipes. Anyway, it makes for a powerful ballad, especially since the melody was already very effective on the piano and clarinet. In all seriousness, I don’t mind when popular music is influenced by classical music. It shows that the popular artist knows and respects music history. If one particular artist used only classical music, then I would have a big problem since that shows a lack of creative talent. Any songs I left out? Let me know in the comments or on Facebook. Thanks for reading!